Feeling a little bloated? Could this be why? It appears many of us are suffering from the ‘bloats’ as I like to call it. I’m talking about that most uncomfortable of sensations experienced within our abdomen or gut after eating. Pretty much every patient I treated over the past 13 years suffered bloating to some degree, sadly more often than not. So is bloating a normal symptom when it comes to digestion and if not what does it indicate? Bloating is a phenomena associated most commonly with the western diet. The US, UK, Canada, Australia and New Zealand, are apparently feeling the pinch from the bloat more so than countries who do not adhere to the common western diet. So why is this happening and how can you stop it? Well the good news is relief is close at hand, providing you follow a few simple tips! Bloating is most commonly experienced after consuming a meal and for some, almost every meal is followed by bloating, lasting up to a few hours. For others it may be experienced more sporadically, depending on what foods have been consumed. The trick in this case is to pay careful attention to what foods you have eaten when it occurs, so you are more likely to identify the culprit and make an effort to avoid it. Insufficient intestinal flora colonies – I’ll explain more about this later in the post. However bloating does not always result from eating ‘unhealthy foods’, but also seemingly healthy foods, such as grains and vegetables can contribute to this issue. When our food is ineffectively digested, it can end up fermenting or ‘rotting’ within our intestine. The fermentation process produces gas, resulting in abdominal distension / bloating and even more embarrassingly…flatulence. So you could say you are literally brewing your own alcohol within your intestine in the case of undigested, fermenting food! The undigested or ‘rotting’ food also promotes the growth of Candida – a naturally occurring fungus that resides within our intestine. The more Candida growing within our intestine, the less space on the intestinal wall for our good intestinal flora or pro biotics, to inhabit. Inadequate pro biotic or intestinal flora colonies will impact on the function of virtually EVERY cell, within every organ and body system, causing a detrimental effect on our overall health and wellbeing. In addition to the links with ineffective digestion and bloating, the consumption of foods containing ‘allergens’ – substances which the immune system interprets as being ‘ foreign’, can trigger an inflammatory immune response. This inflammatory immune response can result in a variety of symptoms, including bloating, flatulence, constipation or lose bowels – IBS, sinus, hay fever, headaches, even fatigue and mood changes. So the real key to eliminating bloating is to avoid foods that our immune system will react to, most commonly gluten, cows diary, yeast, sugar and artificial additives and processed foods as well as to maintain effective digestive function and healthy probiotic colonies within our intestines. HI Emma sorry I missed your comment! 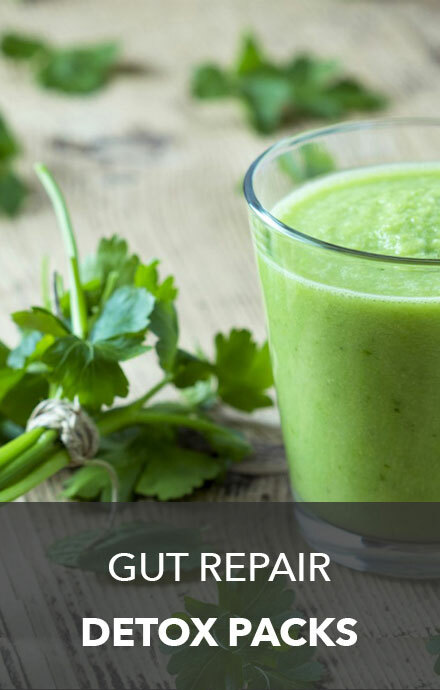 I would aim to repair your gut / digestive function as this will target the cause of the issue more directly and reduce ant inflammatory immune responses to foods. 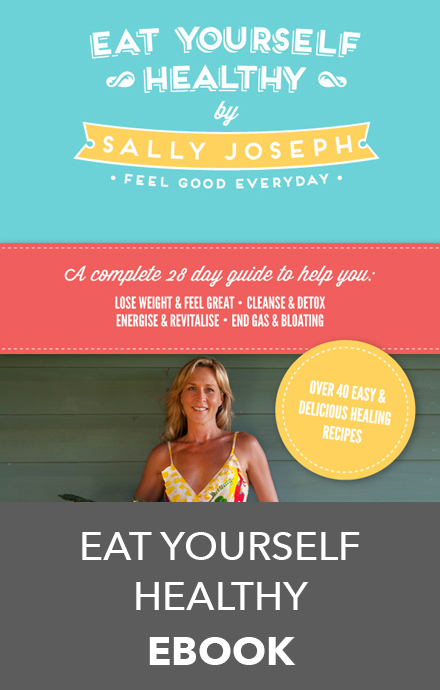 You can do this with my digestive repair supplement pack http://www.www.flatseven.org/sallyjoseph/how-to-detox/#buy Your on the right track with the foods you have eliminated so far. After you have completed the digestive repair program, I recommend you maintain the pro biotic continuously for 3 mths as these will assist in regulating healthy immune responses and reduce food intolerances. I have been trying to figure out what is causing my bloating and other digestion issues – have cut out dairy/gluten/sugar and eat a very healthy diet. It has just dawned on me that it may be the kale filled green juice I have every weekday morning – which would explain why I don’t have many issues on weekends! Which grains do you think would also contribute to the issue? This is some truly impressive blogging. You have touched some great factors on health here. bloating at night is normally associated with poor diet at night, nutritionally light meal should be taken at night since there is improper digestion at this hour.bloating at night is as result of heavy super.